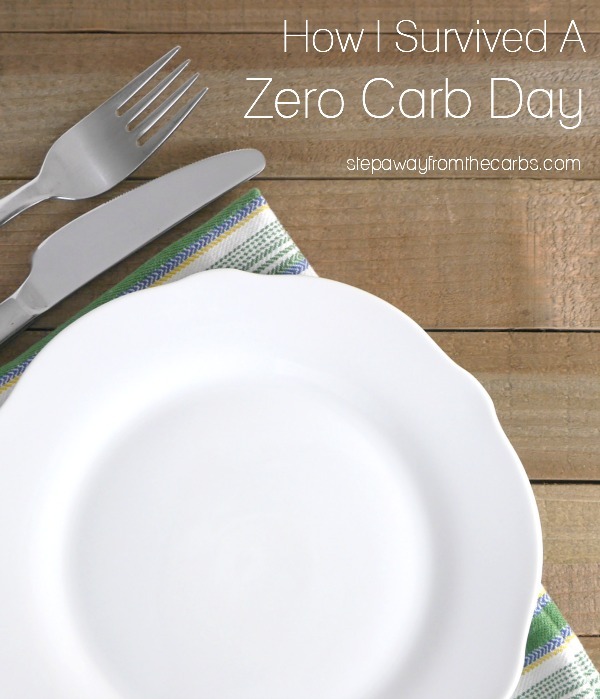 Have you ever tried eating zero carb for a day? Here’s how my first attempt at a zero carb day went! I recently set myself a challenge to see if I could get through a zero carb day. 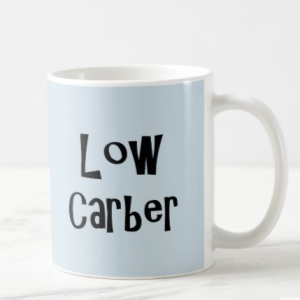 Low carb diets usually range from 20-50g net carbs per day, and for many people this is an effort! But zero carb? How hard would it be? 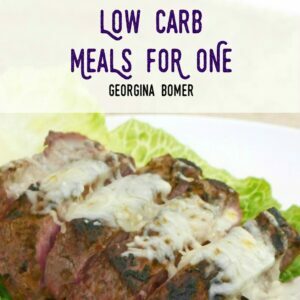 My first place to look for ideas was my list of 43 Zero Carb Foods. 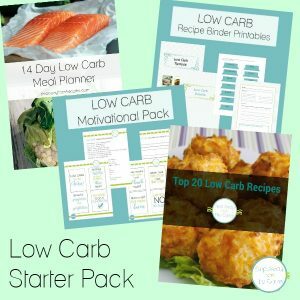 It was actually so useful that I’ve made a FREE handy printable for it – not necessarily because I’m encouraging a zero carb diet – but just in case you’ve gone too high on your carb count and are still hungry. 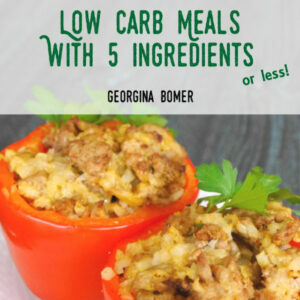 But some items on this list (especially the veggies) are really less than 1g per serving (which is still very low) – so I knew I had to have some portion control too. 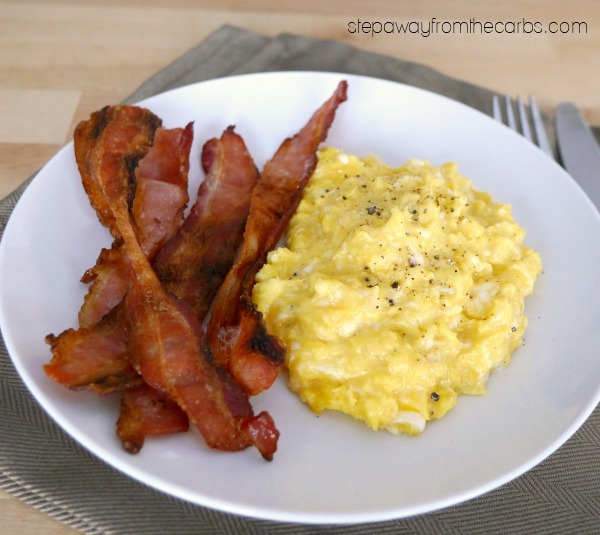 I decided to go with a low carb classic: Bacon and eggs! I was worried about being hungry, so I cooked four slices of bacon, scrambled two eggs, and added a little shredded cheese to the egg. Plus lots of black pepper. Filling and delicious. But when I calculated the carbs, it came out as 1.75g net for the whole thing: the minuscule amounts of carbohydrates in bacon, egg, and cheese all add up! My zero carb day had NOT started well. True, it was very low, but I was going to have to try harder for the rest of the day. For drinks I had one mini can of diet coke (I’m not a coffee drinker – and I have to get my caffeine from somewhere! ), and then for the rest of the day I drank sparkling water with some flavored water enhancer mixed in. At least they were all zero carb! By mid morning I was feeling in need of a snack – so cheese to the rescue! I seriously enjoyed a little 2oz burrata (I get them from CostCo – highly recommended) on its own. It’s so rich and creamy, and was just what I needed. And no carbs! But any cheese snack would have worked if I hadn’t had the burrata. 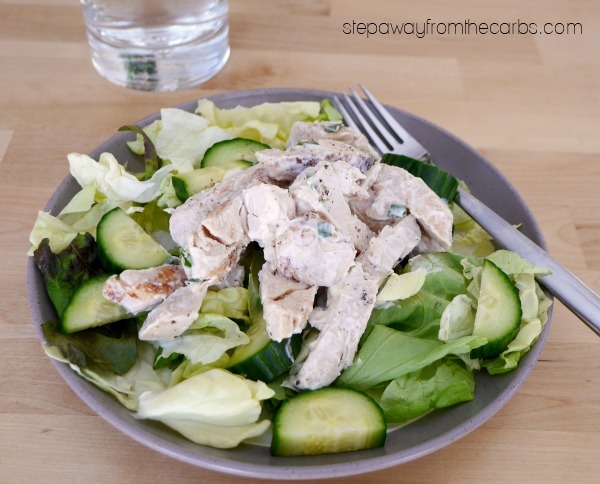 For lunch I made a quick chicken salad. I used four ounces of cooked chicken mixed with 2 tbs full fat mayonnaise, black pepper and fresh chives. I served this over lettuce and cucumber – knowing that I had to eat *some* veggies today! This meal came out at 1.34g for the whole plate. Most of this actually came from the cucumber: if I’d skipped it my meal would have been just 0.5g net carbs. In the afternoon I was really feeling in the mood for something sweet. But I found it really hard to find something suitable – even a medium strawberry is 0.7g net carbs, and I know that I’d want more than one! Luckily I had made these zero carb gummy bears a few days ago and had a few left, so they were better than nothing. But I was very close to mixing up a whole batch of sugar free Jello! Late afternoon I had the munchies, so had a couple of handfuls of pork rinds, dipped in a little hot sauce. Zero carb! By dinner, though, I was seriously hungry! I needed something bulky and filling that didn’t have any carbs. The answer? 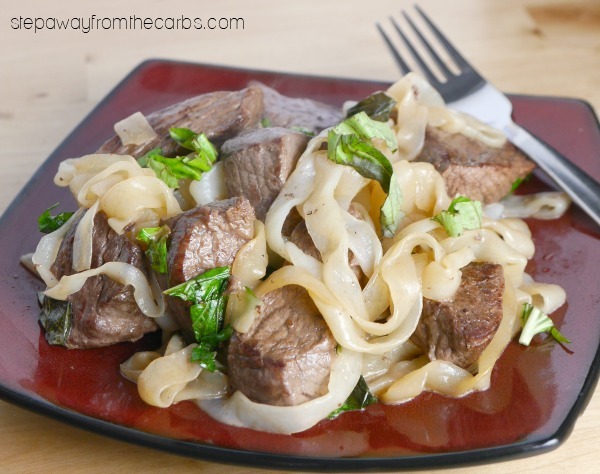 Steak, butter, and shirataki noodles. I used fettucine from Miracle Noodles, and while they were soaking in hot water, I fried some diced steak in butter. When the steak was done, I added the drained noodles. They absorbed so much of the butter and steak juices! I added a tiny splash of cream, and black pepper. To serve, I added some fresh basil leaves. Total for the meal? 0.57g net carbs! Now I must confess that I *do* love a glass of wine in the evening, but at 3.8g net carbs per 5 fl oz glass, it was off the menu today. I referred to my guide to Zero Carb Cocktails, and settled for vodka, diet ginger ale and a tiny squirt of lime juice, all served over ice. My conclusion about my zero carb day? I managed to stay at zero carbs for my snacks and drinks all day. For the other main three meals, the total was 3.66g net carbs. It was a good first attempt – but obviously I can do better! But more than proving one way or another if I could do a zero carb day, it reinforced that although I’ve been low carbing for ten years and consider myself pretty experienced, it can be all too easy to let that carb count climb when you start to relax into the diet. And if you’re wondering, I did weigh myself the morning before I started, and the following morning before I ate anything. I was down 2oz. It could be significant, it could be coincidence. I think I would find it hard to sustain this super low level of carbohydrates, but once in a while I think it might be a really useful exercise! What would YOU eat on a zero carb day? If possible can you give an example of zero carb vegan diet? I’m sorry, but as I’m not a vegetarian this is incredibly hard for me to answer – never mind vegan! I’m sure there must be like-minded bloggers out there who cover this way of eating. Sorry that I couldn’t help more.